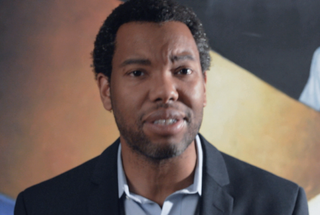 Thus writes Ta-Nehisi Coates a few short chapters into his new nonfiction book, Between the World and Me. Structured as a letter to his son, Coates’ book is a compelling mix of history, analysis and memoir. Between the World and Me is a much-needed artifact to document the times we are living in: a time when we have our first African-American president, and black lives are increasingly under state-sanctioned and vigilante attack. Some might say that this violence against black bodies is a backlash precisely because we have our first black president, and because in just a few short years—2043, to be precise—white Americans will no longer be the majority race in the United States for the first time in our nation’s history; that these Tea Partiers and white supremacists are showing their true faces in fear of losing the power and privilege that has always been theirs by virtue of white skin color. Who is and who is not a person. Who is and who is not accorded the rights and respect of personhood. This, the foundational cry of the civil rights movement: “I am a man”; of the suffrage movement: “Ain’t I a woman”; and now this new civil rights movement we are living within: #blacklivesmatter. Coates has quickly become one of the leading public intellectuals of our generation. “The Case for Reparations,” his 2014 Atlantic long-form piece, was a groundbreaking piece of journalism that earned Coates the George Polk Award and the Harriet Beecher Stowe Prize for Writing to Advance Social Justice. Before that, Coates gave us his first book: The Beautiful Struggle. That memoir, written from the perspective of Coates as the black boy, was an ode to Coates’ father, who navigated racism and war to raise seven children. Now Coates, a husband and father himself, has taken the elder man’s role in the narrative and crafted a deeply moving and poignant letter to his own son on how to survive in a black body in a country founded on the brutalization of black bodies—a violence that continues to this day. The genesis of this letter is familiar. It echoes the talk that all black parents have with their children to teach them how to navigate the experience of racial violence in America, bodies and spirits intact. But it is the deep mastery of historical fact, combined with Coates’ customary, brilliant cultural commentary, that sets Between the World and Me apart from all others. There is the connective tissue between Coates’ personal experience with racial violence, the murders of young black men and boys by police brutality, the slave-owning Founding Fathers who wrote black people out of personhood, the inherited personal and national wealth gained by whites during slavery that translated to greater wealth and political power today—all while black Americans have been shackled by state-sanctioned violence, ghettoized through housing discrimination and deliberately failing schools that spur educational inequality along with the preschool-to-prison pipeline; and, of course, media doublespeak and rewritten histories, sanitized of both white supremacist culpability and black achievement. It goes without saying that Coates’ use of the second person—the use of the letter device—is brilliant. It allows Coates the room to remember his son as a baby and say, “You would be a man someday and I could not save you” from racial violence. The second person, too, allows the reader to identify with Coates’ work—becoming the “you” that is spoken to and inhabiting the space of Coates’ son. The experience of having a sage elder speak directly to you in such lyrical, gorgeous prose—language bursting with the revelatory thought and love of black life—is a beautiful thing. An epistle such as this, echoing the New Testament letters of Paul, becomes almost sacred. And yet, of course, it would be remiss not to mention the absence of women as full agents in their own lives; instead the women serve as witnesses to the trauma of black men. They are mothers—edifying, saintly, loving—but not subjects. Indeed, the mention of Renisha McBride in an aside is a rare space given to a female victim of racial violence; the rest, especially the detailed portraits, are male. Perhaps this is necessary; a story can only have one hero. And this is the story of a father and son. Yet this is what has happened throughout the canon of black men writing the struggle of black folk: this old repetition of “all the women are white, all the men are black.” Why cannot black men speak for black women the same way black women speak for black men? “This is your country, this is your world, this is your body, and you must find some way to live within the all of it,” Coates writes to this black boy in America on the verge of manhood. But so, too, must black girls, must black women. For this is the single, ongoing conversation among us black folk now, and always: How do we survive—nay, thrive—in this country amid such ongoing racial violence directed at our bodies? Coates offers us this wisdom: Be a part of the conscious struggle. Ground yourself in the memory of where you come from—your ancestors, your black community, your black family—and think. Do not fall asleep. Do not simply dream. Be brave. Stay woke.